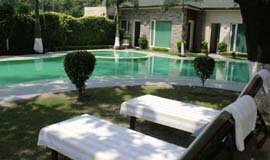 La Casa, which in Spanish means- The House, Â is converted from an erstwhile residential mansion of a large Indian joint family..
Bhajgovindam resort is situated on the banks of Holy river Ganga. 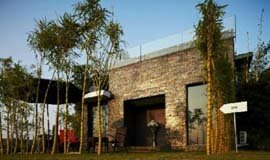 You can sit and enjoy the real fresh air and view the holy river flowing by your side. 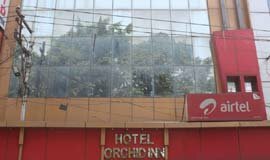 Hotel Crown in Haridwar provides a classy comfort for visitors to the holy town. 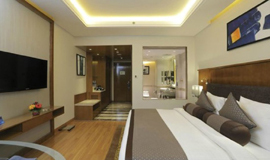 The Hotel Crown provides guests with an unforgettable stay experience, . 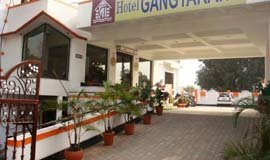 Located at a prime location in the holy city of Hardwar, Hotel Gangtarang proudly stands overlooking the mighty Ganga River and the temple yards of Hardwar. 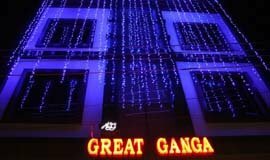 Stylish and sophisticated with ultra-modern design, the deluxe Hotel Great Ganga offers some of the finest facilities in Haridwar. 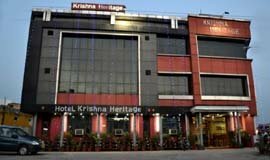 Hotel Krishna Heritage in Haridwar provides a classy comfort for visitors to the holy town. 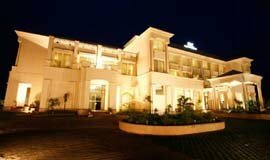 The hotel Krishna Heritage provides guests with an unforgettable stay experience, both in terms of luxury and comfort. 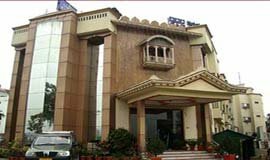 Hotel Mansarovar International Newly is the renovated place of luxury and comfort equipped with ultra-modern facilities is located in the very heart of the holy city of Haridwar With Places Of Interest within a few minutes of walking distance. 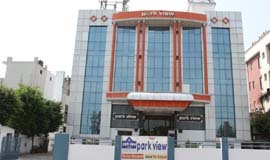 Hotel Park View is a premier luxury hotel in Hardwar. 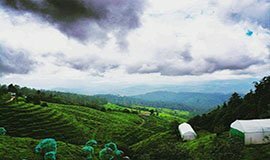 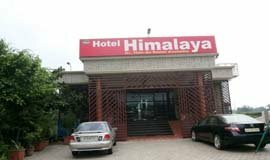 Enjoy the serenity of Hotel Park View with Himalayan Hills, Rajaji National Park, Chilla bird sanctury, Ganga river and the holy and spiritual city of Hardwar only minutes away. 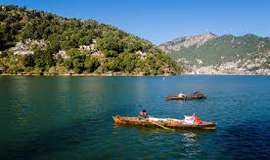 Finding a hotel of your choice in Haridwar should hardly be a problem. 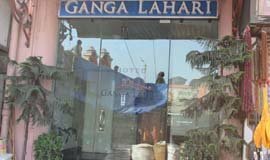 There are innumerable Hotels running in Haridwar. 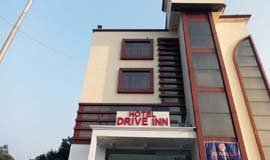 There are enough haridwar hotels that cater to the needs of the various kinds of travelers that frequent Haridwar. 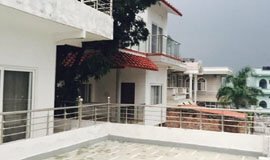 Marigold Drive Inn is situated in Haridwar. 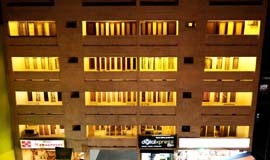 Offering an array of facilities and conveniences the hotel rooms are impeccable styled with a warm and cozy ambiance. 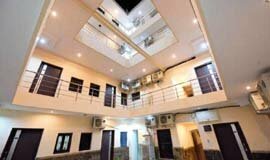 A 2 Star Hotel in the Holy city Kumbh City Haridwar, India. 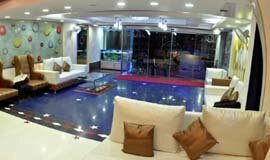 All efforts are dedicated to providing luxurious comfort combined with exceptional, personalized service. 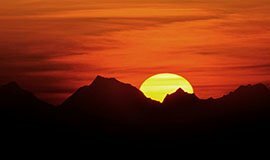 Everything is designed so as to be modest. 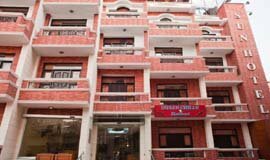 Hotel Gagan Deep is the most centrally located hotel, Situated in the heart of the city Haridwar within a walking distance from Har Ki Pauri and other famous religious sites. 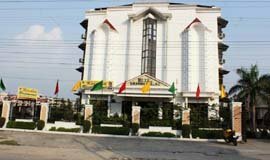 The 25 A.C. Room Hotel is professionally managed by the company. 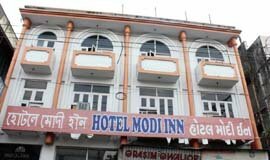 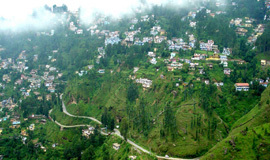 Modi Inn Hotels Group,also having hotel at Dalhousie ( H.P. 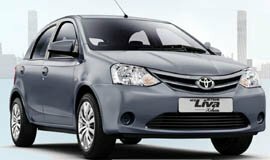 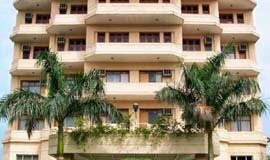 )We Are Redifining Atithi Dev Bavah Spirit with our unmatched hospitality,family atmosphere and services. 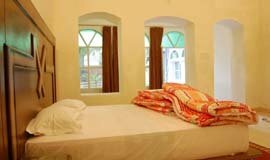 The Pariwal near Haridwar offers a range of well designed comfortable rooms. 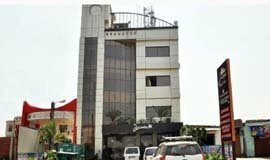 The impeccable services in conjunction with the gratifying hospitality are sure to linger in the hearts of the guests..
Hotel Raj Mandir, Haridwar located near Mansa Devi Ropeway, welcomes its guest to experience an artful balance of contemporary elegance and modern design. 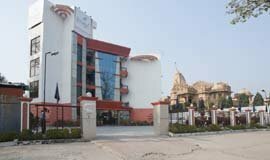 Haridwar brings a wide range of 2 star Hotels offering agreeable stay inside an efficient slot. 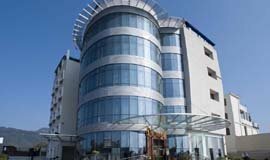 2 star Hotels are considered as pocket cordial, since it gives finish comfort making a glad visitor look at. 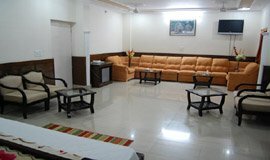 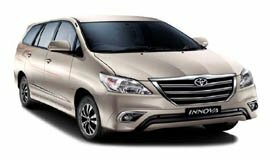 This class of inns are regularly found around market or railroad stations, transport pick up/drop centners, indicating accommodation and achieve capacity for any traveler.Properties of 2 star hotels in Haridwar generally concentrate on value needs of cognizant voyagers. 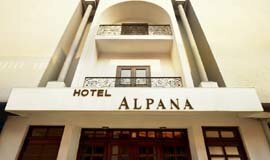 Conveniences and Facilities offered to visitors are commonly restricted to keep room rates reasonable and focused however might be accessible upon demand or charge based. 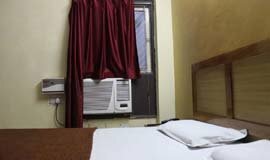 For the most part, 2 star Hotels in Haridwar contain AC and Non AC rooms giving all day, every day unmatched administration and security, fastidious thoughtfulness regarding visitor's worries. 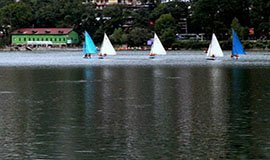 Generally pleasing staff is excited to nurture you and you're voyaging needs as well. 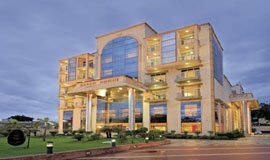 These lodgings are an immaculate decision for the uncompromising budget minded voyager and business administrators. 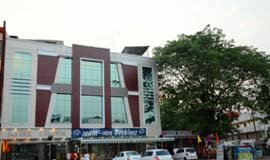 There are 54 two star hotels in Haridwar. 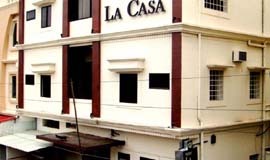 Among these 54 hotels, the most popular two star hotels in Haridwar are Anuradha Palace, Classic Residency, Country Inn Haridwar, Ganga Sadan, Ganga Darshan, Gang Tarang, Gyan Ganga Heritage, Hari Heritage, Haveli Hari Ganga, Hotel Jasmine, Hotel Khanna Palace, Mansarovar International, Hotel Imperial Blue and Hotel Le Roi . 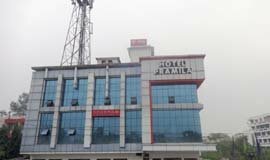 Tariff for two star hotels in Haridwar starts from Rs. 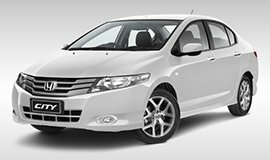 1200/- only. 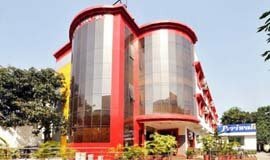 Hotels offers facilities like intercomm, room administration, 24hr call work area, indoor amusements, Big Screen LCD Television, travel desk,running hot and cold water, parking, free internet, Tea Coffee Maker in Room and so forth with all the essential comforts.